Construction aggregates form the underpinnings of our cities, towns and transportation networks. and many of these ancient structures exist today. From the perspective of any quarry owner, crushing rock is what it’s all about. To the guy or gal operating something like the Cat 349F L hydraulic excavator, hey, crushing rocks, like it’s kind of fun to move a handle that transmits so much power to a set of jaws that can reduce a big boulder to little rubble in a matter of seconds ~ fun coupled with serious responsibility and acute operator skills. In the first example, crushing is the verb, and in the second one, rocks is the verb. As more than 80% of rock is reduced to small rock aggregate, gravel or sand, explosives are the preferred method, though not the only one, of loosening Mother Nature’s grip on her rock beds. Some quarries blast as much as three days a week, and others may need to do it only two or three times a month. Each blast needs to be professionally managed in terms of safety and efficiency. Large quarry companies may employ specially trained and licensed people to order, store and handle the explosives. They are readily available on short notice to service any of a company’s quarry sites. Small quarries, however, may subcontract blasting activities. “In the granite quarries of the Northeast, they drill vertical holes and split the rock using metal wedges and ‘feathers’ pounded in with sledgehammers,” Gensamer continues. “Slate and softer rocks can be cut by cable saws that are like huge band saws. Giant diamond saws are even used in some places.” However, there are not very many effective alternatives to blasting for quarry businesses which move, crush, sift and handle thousands of tons of rock every day. 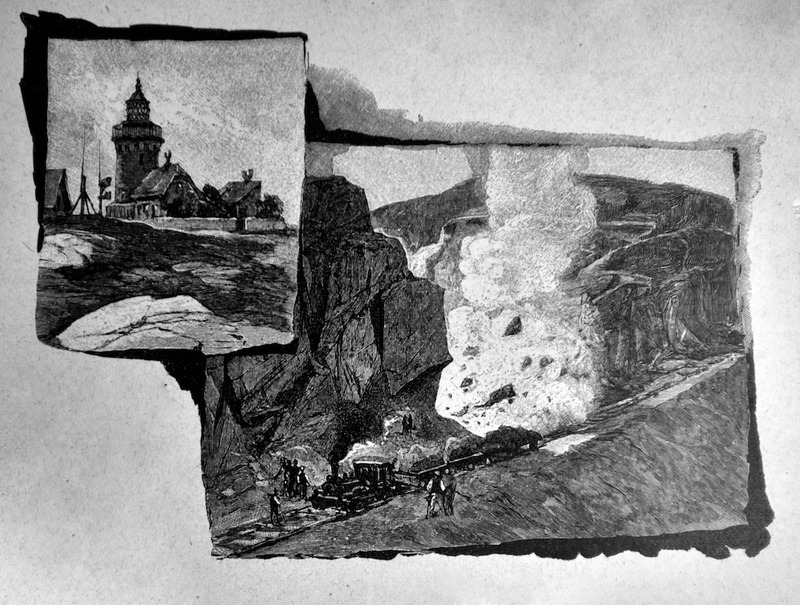 The blast leaves a large pile of loose rock, and some mighty heavy equipment rolls in. 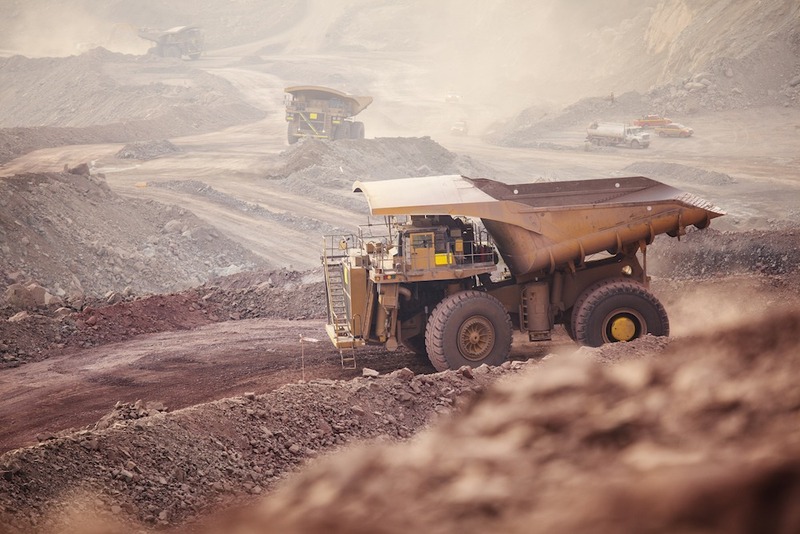 Quarries are not very crowded places, and most days host a small variety of very heavy, very slow-moving equipment with all kinds of buckets, front loaders, crushers, swivel and dumping capabilities. Since rock is very heavy, it is not economically practical to move it any farther than necessary, so many of the crusher stations and conveyor belts are strategically situated near the blasted pile for loading, dumping, sorting and moving material toward its destination. Excavators come in three size categories, appropriately small, medium and large, like tee shirts. The largest ones offer 380 to 500+ horsepower and weigh between 100,000 and 200,000 pounds. The large price tag starts around $400,000 to more than twice that depending on features and upgrades. The large front end or wheel loaders carry recommended sticker prices of $800,000 to more than $1 million. Just one set of new tires can cost $100,000. Front end loaders may be the most efficient equipment on terms of moving rock, and each dump truck, excavator and front end loader runs about $150 to $300 per hour to operate. It’s not rocket science to do some quick math that adds up to thousands of dollars pouring out of the coffers like rocks pouring out of the loader bucket in just one work shift. On the safety and convenience side, the drivers and operators are much more comfortable than a couple decades ago with air conditioning, ergonomic controls and seats and noise suppression. No doubt there are cup holders and a radio to boot. There are many steps to take bowling ball size rocks or bigger to pea gravel pieces or smaller. The most common primary crusher is the jaw crusher. An assortment of chutes, conveyors and feeders carry rocks to secondary and tertiary crushers and screens. Crushers reduce the size of rocks, and the screens sort them. In some operations, there are several screens above one another as large as 10 by 20 feet so several products are being sifted and dumped into surge piles at the same time. Some automatic systems are set up for the rock to get crushed again and circle back through the screens. Others have the screens periodically dump their load sideways. Westman’s Virginia Tech department is renowned for cutting edge research and hosts mining experts from around the world. “Over the past 10 years, more than 20% of all U.S. mining engineers have graduated from Virginia Tech, and about 40% of our grads go to work at aggregate quarries. We are heavily engaged with the industry,” he says, “and it’s exciting to see drones come into play. 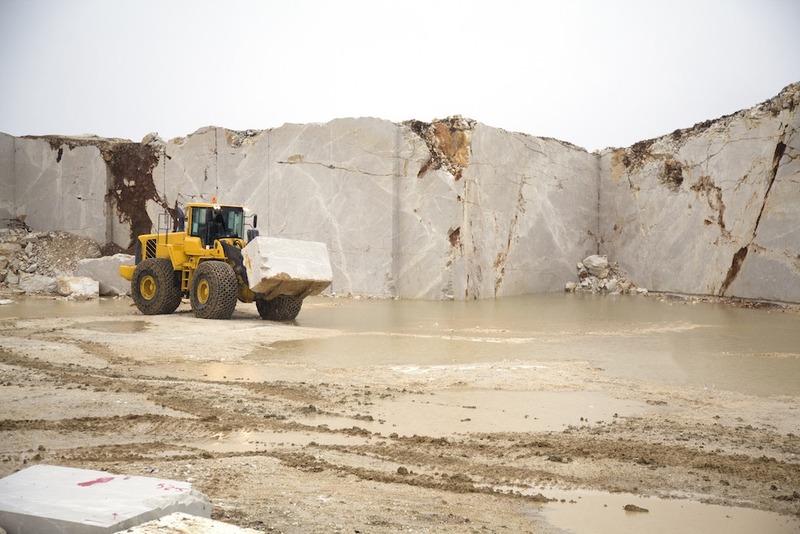 To figure out how many tons of a specific product that a quarry may have on hand, a couple people might stand back near a surge pile and make an educated guess on its size, tonnage and value. Now, a drone takes pictures that feed into software which does the calculations for dimensions then weight. 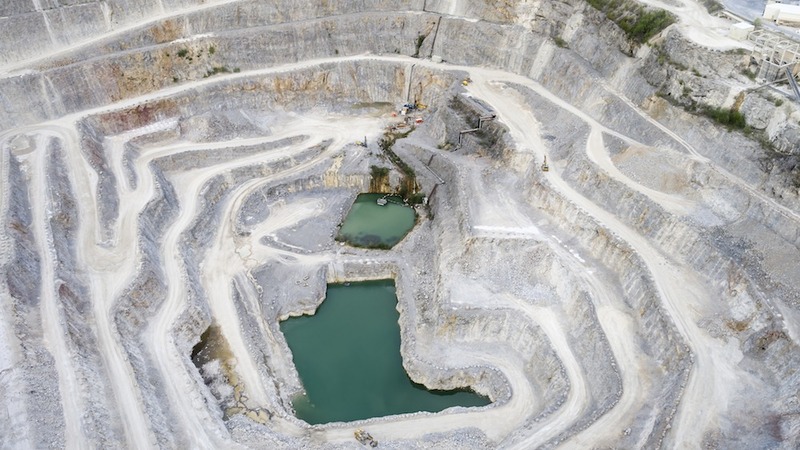 Another great advantage of drones is surveying active quarry equipment. You can have a conveyor belt 100 feet high with no safe way to get up there to inspect it routinely. With drones feeding photos from different angles, one can see where a pulley is starting to fail or a conveyor belt is fraying.” Drones can take the element of surprise out of equipment failure, which increases efficiency and dramatically reduces downtime. Water is the best way to suppress dust with sprayers continuously emitting a mist or spray over much of the crushing process. Programmed dust suppression systems offer yet another place for automation to shine. Most of the stationary, computer-controlled water systems run through pipes and hoses with adjustable nozzles. Water trucks can go anywhere to keep dust at a minimum, including the roadways within the pit and unpaved access roads. Dry dust collector systems with vacuum capabilities are effective, but much more costly for having to enclose a large portion of the crushing and sifting process. Chemical suppression is generally cost prohibitive as well in terms of cost and administration, as it must be accurate to be effective. Most quarries are open normal business hours, with some running two shifts and others with operating permits which do not allow opening earlier than 7 a.m. or perhaps later than a certain time, considering close neighbors or communities. There are many quarries across the country because of the exorbitant cost of transporting such heavy loads. Most quarry operations serve a limited region, and often the cost of hauling exceeds the price of the load. But it is precisely the quarry operations that keep the whole country in roads, bridges, driveways, house foundations, bricks, pavers and millions of conveniences and necessities. Joanne M. Anderson is a southwest Virginia freelance writer and DIY small farm owner. She feels exceptionally small at the ocean and when picking up a load of pea gravel at the local quarry to reduce mud under her pasture gates. Braen Stone is a 114-year-old, fifth generation family business based in Haledon, N.J. Its early beginnings are tied to Samuel Braen taking over a quarry as payment for a gambling debt in the late 1880s. Though he knew little of the business, his on-the-job training and entrepreneurial spirit sparked both a profit and the drive to expand. Like many quarries, quality customer service and exceptional career opportunities place the enterprise in the people business.